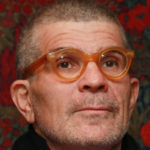 David Mamet is an American playwright, essayist, screenwriter, and film director. As a playwright, Mamet has won a Pulitzer Prize and received Tony nominations for Glen garry Glen Ross (1984) and Speed-the-Plow (1988). Mamet first gained acclaim for a trio of off-Broadway plays in 1976, The Duck Variations, Sexual Perversity in Chicago, and American Buffalo. His play Race opened on Broadway on December 6, 2009, and his play The Penitent previewed off-Broadway on February 8, 2017. "Liberalism is a religion. Its tenets cannot be proved, its capacity for waste and destruction demonstrated. But it affords a feeling of spiritual rectitude at little or no cost." "In practice we, in the world, must do business with each other." "I’m not the guy to ask about politics. I’m a gag writer." "Old age and treachery will always beat youth and exuberance." "My idea of perfect happiness is a healthy family, peace between nations, and all the critics die." "I always thought the real violence in Hollywood isn’t what’s on the screen. It’s what you have to do to raise the money." "You know, young actors say all the time, ‘Should I use my own life experience?’ And my response is, ‘What choice do you have?’"
"The product of the artist has become less important than the fact of the artist. We wish to absorb this person. We wish to devour someone who has experienced the tragic. In our society this person is much more important than anything he might create." "There’s nothing in the world more silent than the telephone the morning after everybody pans your play. It won’t ring from room service; your mother won’t be calling you. If the phone has not rung by 8 in the morning, you’re dead." "Art and mass entertainment and propaganda, they can all be plotted on the same graph, but there is a difference."